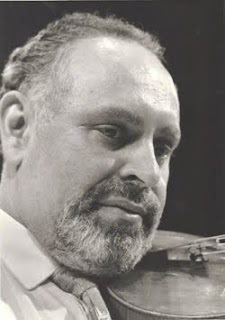 My father-in-law, Isidor Saslav, will be honored in East Texas on Saturday, March 31, 2012, as the Stephen F. Austin College's String Department newest chair. NACOGDOCHES, TEXAS—They studied with or under him, used to perform or currently perform beside him, and have directed or were directed by him.Regardless of how they know him, the acclaimed musicians are coming from across the United States to perform with Dr. Isidor Saslav, former director of strings at Stephen F. Austin State University, in a benefit concert at 7:30 p.m. Saturday, March 31, in Cole Concert Hall on the SFA campus.The purpose of the concert is two-fold, explained Jackie Warthan, member of the SFA Friends of Music and co-chair of the event. “We wish to honor Dr. Saslav and to raise money for the Isidor Saslav String Scholarship, which will help continue the superb strings program he was so instrumental in forming at SFA.”Among the acclaimed performers will be violinists Charles Castleman, prize winner of the Queen Elizabeth of Belgium Violin Competition and professor of violin at the Eastman School of Music; and Kenneth Goldsmith, professor of violin at Rice University who maintains an active touring and recording career and was Saslav’s college roommate at Wayne State University.Also violinist Karen Clarke, professor emeritus at Florida State University, frequent performer, and current faculty member at Vanderbilt University; and violist David Jordan, retired distinguished professor of French history who was Saslav’s classmate at the Cass Technical High School in Detroit.Cellists include Evan Drachman, founder and artistic director of the Piatigorsky Foundation who has frequently performed at SFA; and Daniel Levine, a 40-year member of the Dallas Symphony who was Saslav’s classmate at Cass Technical High School, Wayne State University and the Chatauqua Music Festival in the 1950s.Among the acclaimed pianists will be Richard Dowling, recording artist, scholarly editor and owner of Dowling Music; and Robert Freeman, former director of the Eastman School of Music and the New England Conservatory of Music, and former dean of the College of Fine Arts and current professor of musicology at the University of Texas at Austin.Also, pianist Tonu Kalam, music director of the Longview Symphony Orchestra and professor of music at the University of North Carolina at Chapel Hill where he is the music director and conductor of the UNC Symphony Orchestra.The roster of musicians also includes pianist Ann Heiligman Saslav, Isidor’s wife; six SFA faculty members; six SFA alumni; four additional non-SFA-related performers; and members of the Orchestra of the Pines.The program is arranged by composers and features works such as J.S. Bach’s Brandenburg Concerto, Felix Mendelssohn’s Trio in D Minor, Op. 49, and Antonio Vivaldi’s Concerto for four violins and orchestra.Immediately following the concert, the Friends of Music will host a reception in the foyer for all audience members and the performers.“This will be a wonderful chance to honor Dr. Saslav and meet the other performers,” said co-chair Camille Bolinger.Individual tickets are $25 each. Patrons can also choose to make a contribution of any amount towards the scholarship.To purchase tickets and/or make a contribution, please call the SFA Fine Arts Box Office at (936) 468-6407 or (888) 240-ARTS.